These are the books recommended for your P2 child to cultivate an engaging learning experience and beneficial for parents who are coaching their child at home. We have compiled the books together which are recommended for Primary 2 to strengthen your child’s foundation & concepts learnt from Primary 1 and to level up their problem solving skills & tackle even more challenging problem sums. As problem sums gets more difficult with each year & working with bigger numbers, students tend to make more careless mistakes & misinterpret problem sums. By allowing their areas of doubt to grow & not correcting their mistakes right away, students might face difficulties to tackle challenging questions which hinder their progression. From our experience of working with children, we discovered that they find maths more enjoyable when Math is taught through stories & games (“learn through play” method). 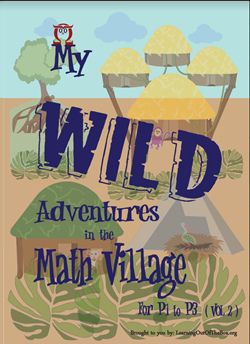 In our Math Jungle activity books, there will be colourful illustrated characters to guide through each Math topics & to make learning more engaging & interesting.